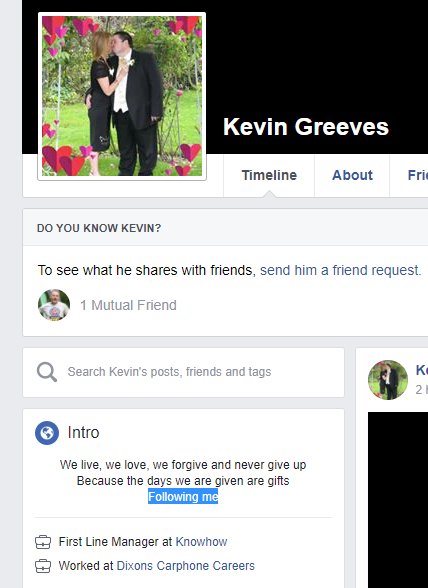 This is creepy, Go to your Facebook account settings, then blocking, then block users, and type in “following me” without the quotes into the text box then hit the “block button. You will find 15-20 or more people FOLLOWING YOU that you do not know! I just blocked about 17 accounts from random Middle Eastern and Asian countries that were following me, who I do not know. You have to block then one at a time. Check your followers and tell your friends and family to check theirs as well. Feel free to share this or copy/paste. This is not a joke. 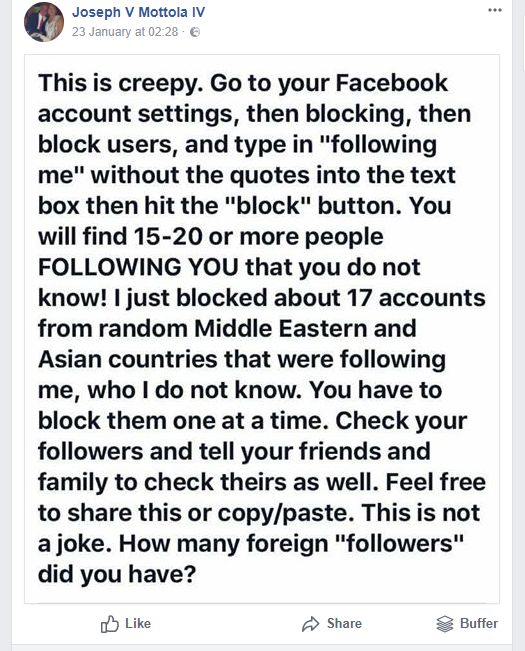 How many foreign “followers” did you have? So whats going on here? Well I thought I’d give it a go. 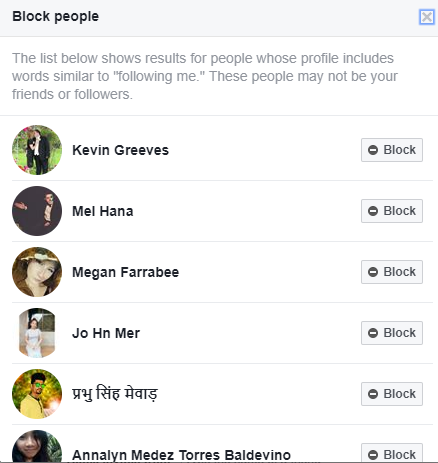 As the instructions said I headed into Facebooks settings and found the Blocking section, I typed Following me into the block users text box and sure enough I got a number of results from people I did not know. So I check the first result and Kevin has Following me in his intro. So there you have it, noting creepy just a trick using Facebook’s search function to convince people into spreading a false message. While Obviously I cannot possibly comment on all of the people who you find this way alarm bells should ring if you find the person below following you.